I’ve been indulging myself lately with two new books. Because I’m just beginning to work on my third novel, I’ve been trying to focus more on writing than reading, but wouldn’t you know that life has other distractions in mind? But because these books are so unforgettable, I must share them with you. I’ll share one today and the other one in a follow-up post. If you like Greek mythology and you can’t get enough of The Iliad, you must read Song of Achilles by first-time novelist Madeline Miller. No doubt, she makes creative use of her education (degrees in Latin and Greek from Brown University) but her imagination is the true vehicle for this book. You’ll be swept away. I simply loved Miller’s portrayal of all the major characters — not just Achilles but others such as egotistical Agamemnon and Thetis, the smothering mother-goddess figure. This is a love story but it’s not between Paris and the abducted Helen; it’s between Achilles and his boyhood friend Patroclus, who lends his point of view to the novel. Completing the triangle is the endearing character of Briseis, Achilles’ war trophy. The climax of the book occurs when Agamemnon demands her for himself. You know how the story ends so I won’t recap The Iliad, but the vivid characters and emotions make this book as enjoyable as any modern novel. And the subject of hubris will never go out of vogue; perhaps the time is right to take a new look at the consequences of excessive pride. This entry was posted in Uncategorized and tagged achilles, great books, greek mythology, ideas, iliad, patroclus, song of achilles on August 6, 2012 by Ashley Memory. Ashley, thank you for posting about this book! I will check it out! Last summer I read a great book called The Golden Mean by Annabel Lyon. She is a first-time novelist as well. It’s a fictionalized account of the relationship between Aristotle and Alexander the Great. Did you know Aristotle was his teacher? I didn’t before reading this. Fascinating. And thank you for your recommendation. I’m in a classical frame of mind. 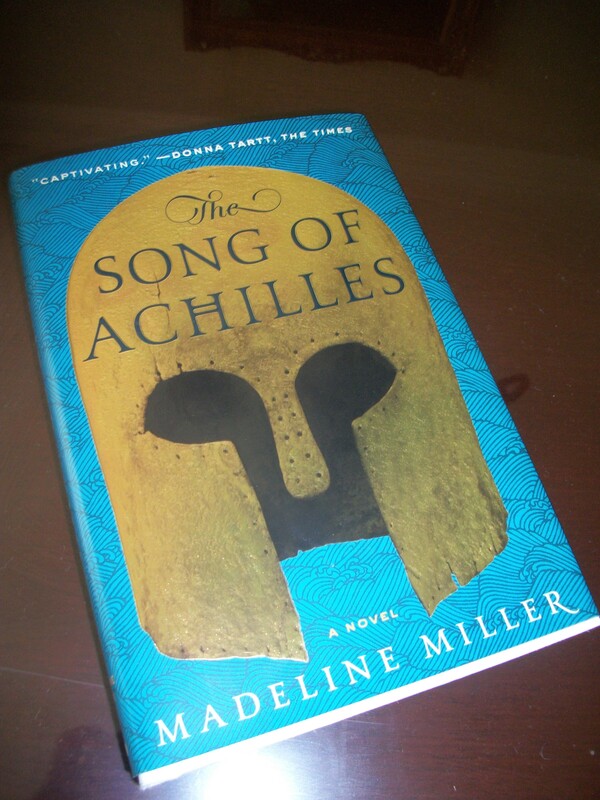 Song of Achilles looks like a great book, Ashley! 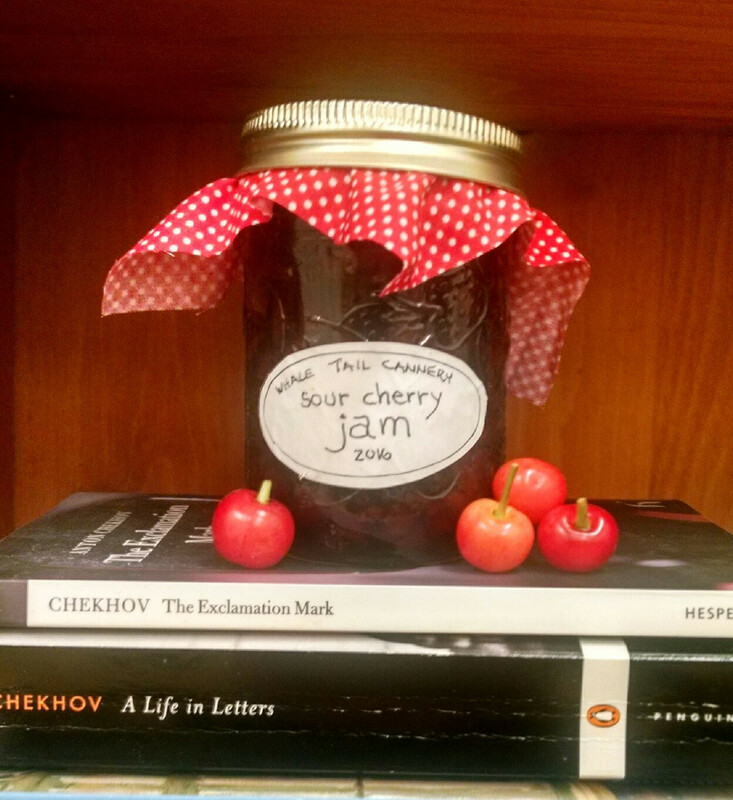 On my bedside table – beware! random! – Margaret Maron’s Storm Track, Hemingway’s Boat by Paul Hendrickson, a biography of May Sarton by Margot Peters, The Art of War for Writers by James Scott Bell, and A Room of One’s Own by Virginia Woolf. I love writer biographies, mysteries, and writerly inspirational works. And great novels like the one you recommend. Now I am wondering why you have a neurologist . . . Thanks Karen; I love to know what other people are reading. And I can tell from the books you brought to yesterday’s meeting (Thomas Jefferson to sci-fi) that you have diverse tastes like me! You and your neurologist are doing an A+ job because you are in the peak of health. You must be good at managing stress – tell us how in a blog!